Deputy mayor of Jerusalem says approval of 7,000 homes in Jerusalem came only after he told Likud ministers he would go public about freeze. Deputy Mayor of Jerusalem and Chairman of the Local Planning and Building Committee, Meir Turgeman, responded this evening to Prime Minister Benjamin Netanyahu's decision to approve the construction of about 7,000 housing units in the Jerusalem neighborhoods beyond the Green Line. The plan allows for the approval of 3,500 housing units in Gilo, another 2,200 in Har Homa, 900 in Pisgat Ze'ev, 500 in Ramat Shlomo and another 100 in Ramot. "The person who gave the order is our prime minister," Turgeman said, referring to the plans for new construction that were frozen in the district committee after being approved by the local committee. "During the week, I met with a number of ministers from the Likud - with Minister Erdan, I met with Elkin, I met with Yariv Levin, and I told them, 'Listen, I'm going to blow it up.' Yesterday afternoon, the prime minister's office issued a directive to unfreeze all the orders," he said. Jerusalem City Council member Aryeh King said this morning that the construction plans approved by Netanyahu are not enough. 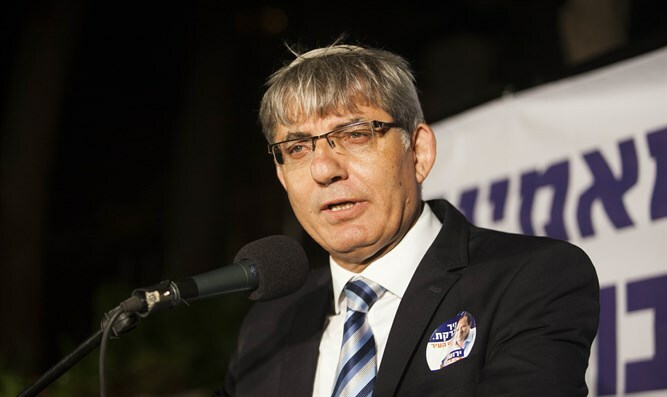 "There is no plan in Gilo and no meaningful plan in neighborhoods beyond the Green Line," King told Arutz Sheva. King later accused Prime Minister Netanyahu of responsibility for the construction freeze in Jerusalem and claimed that his promises are all empty. "Netanyahu does not allow Jews to build," King said. "Netanyahu keeps promising and does not keep anything."